BUCKEYE PARTY RENTAL & JAMBA JUMPERS LLC. Web sling your orders in as fast as possible for this bounce house. 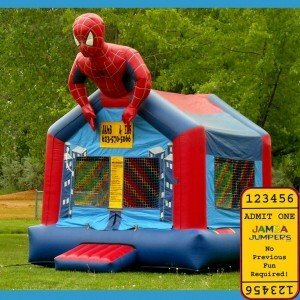 This inflatable is a hit for any event with kids or adults who are a fan of Spider-man. Watch as we set up this 3D bouncy as the character comes to life . No banners on this bounce house.